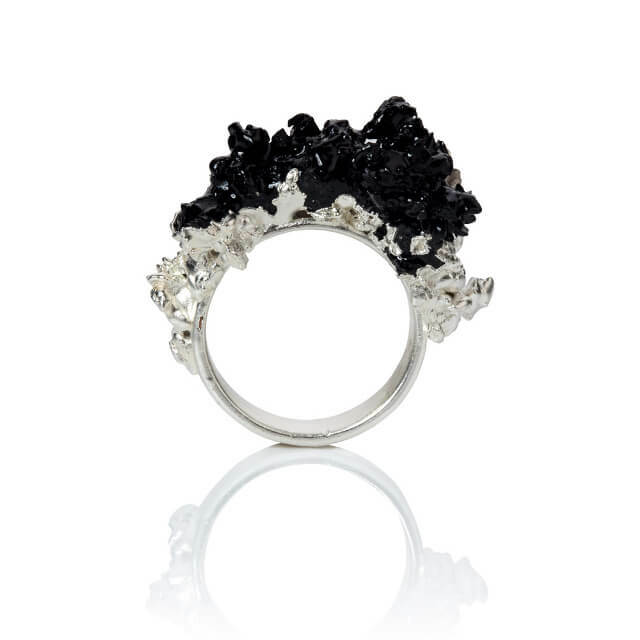 A Silver-plated metal ring showcasing mounds of jet, set in resin and encased in electroformed silver. A striking statement ring. 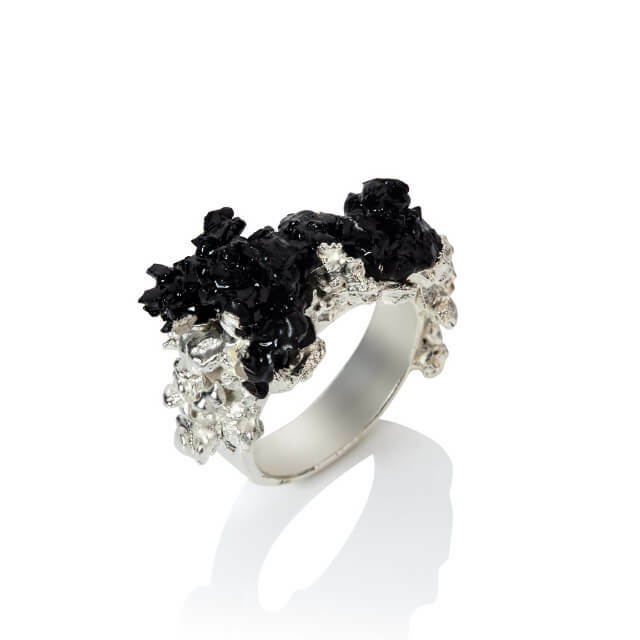 This stunning organic ring highlights the natural structures of rock piles, in homage to American minimalist and landscape artist Robert Smithson. The contours of mounds of crushed jet, set in resin, are showcased in a silver cocoon, grown atom by atom using the process of electroforming.